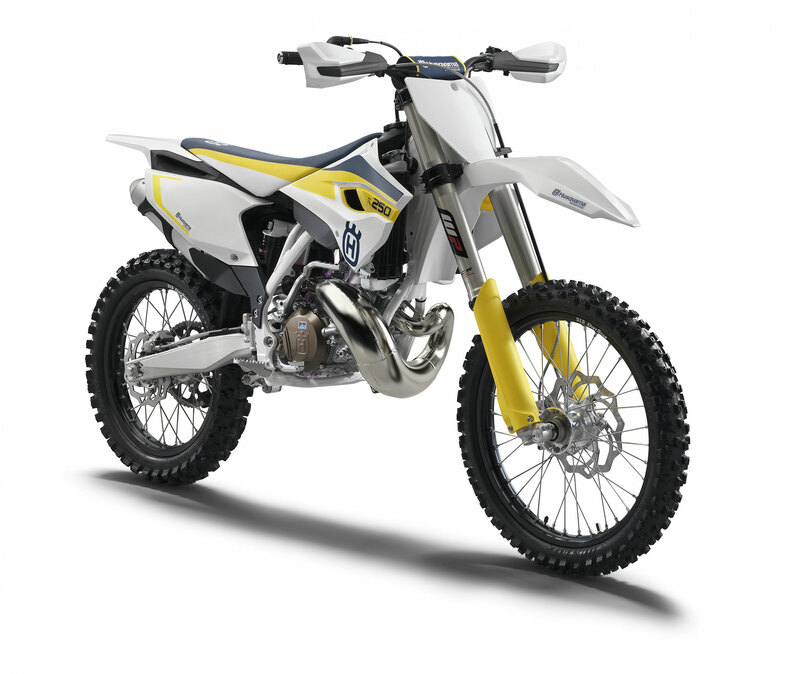 The powerful and tractable 250cc 2-stroke engine of the TC 250 packs the most advanced technology available in Motocross. With well over 50 hp harnessed in an advanced chassis, the TC 250’s incredible power-to-weight ratio makes it easy to control the exhilarating power delivery of the strong 2-stroke engine. The standard handlebar map switch, polyamide rear subframe, hydraulic clutch and Brembo brakes make the TC 250 a formidable competitor to the more complex 4-strokes. The ignition can be modified according to track layout and rider preference. The CDI unit features two ignition curves that can be switched via the handlebar-mounted Husky Power map select switch fitted as standard. The cylinder head has been designed for throttle response and torque and is perfectly mated to the power valve for optimal power delivery in every circumstance. 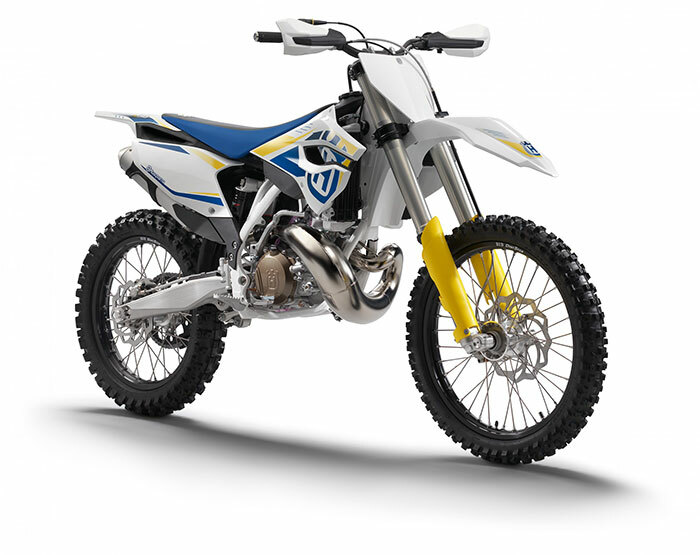 The powerful 250cc 2-stroke engine features an exhaust power valve and Boyesen reeds that optimise power and torque and guarantee excellent response and durability. The engine characteristics can be adapted to rider preference by varying the spring stiffness in the exhaust valve. The cylinder head has been designed for throttle response and torque and is perfectly mated to the power valve for optimal power delivery in every circumstance. 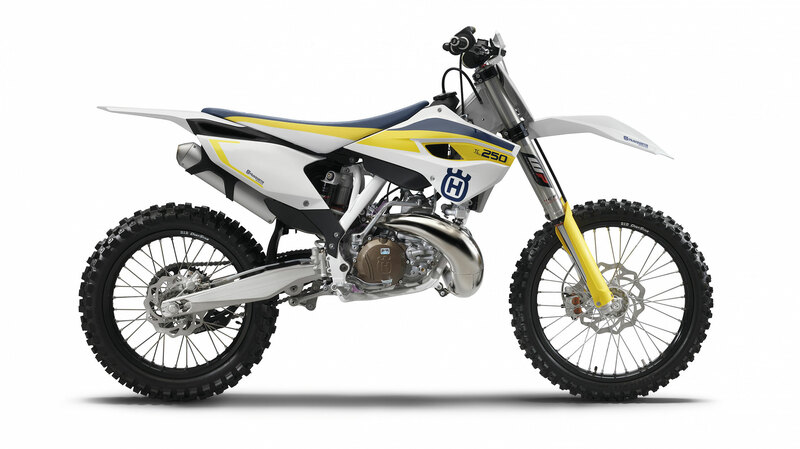 New Neken handlebar, with the same bend as the previous model year, with Husqvarna bar pad mated to Husqvarna grips for excellent control of the bike. Handguards are standard across the range and now feature better impact resistance thanks to a new compound.